In this article, we will give you detailed information about Chinese Miracle-2 CM2 toolbox. The Chinese Miracle 2 used for various purposes. 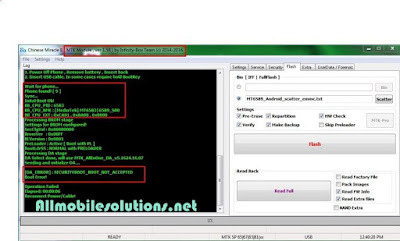 Starting from IMEI changing to unlocking your mobile phone all can do by miracle files in no time. Therefore, we have given a link to download CM2 box and in this post, you would learn, what you could do with this Chinese Miracle. USB flash drive - Two USB ports are required, if your system package is lower than this, can use one port also. Please do not use any file sharing during the work and avoid blocking your memory card. To prevent, any problem please us "old good equate drivers". Users of Windows XP and Windows 7 can directly download the file from internet. To flash the handset, you need to follow some procedure after downloading the CM2 files. After setting up all files into your PC, you need to Chinese Miracle 2 folder, open it up and load the firmware files in your USB device. Scatter the MTK document file by double clicking on it. After doing this and download button would appear there and download the file. Turn off your smartphone, press the power button; it will go into the closing mode. Just right after, press the power button and hit the volume key constantly. The screen will remain the same but mobile would go to the flashing mode. Insert the USB device in your phone in mean time. The driver will send the file automatically and within 5, 10 minutes all process would be complete. I have mentioned only some features of the CM2 [Chinese Miracle 2]; there are more than features and benefits of using this tool. Like one stop shop, it can solve all of your mobile phone problems. Download the file, by just tap on the download button at the end of this post.